Dan Ammann's move will not affect GM Financial's management team. As General Motors President Dan Ammann departs his post to lead the automaker's Cruise autonomous vehicle unit next year, GM CEO Mary Barra will step in on the captive side of the business, overseeing GM Financial. Ammann, 46, has been GM's president since January 2014, overseeing GM Financial, the company's global regions and corporate development. Starting Jan. 1, Barra, 56, will absorb the GM Financial and global regions responsibilities, and Dhivya Suryadevara, 39, GM's CFO, will oversee corporate development. Ammann's move will not affect GM Financial's management team, led by Dan Berce, president and CEO of the captive. A GM Financial spokeswoman said in a statement that alongside Barra, Ammann's leadership and support has played an important role in the Fort Worth, Texas, company's growth and evolution since its acquisition in 2010. "Going forward, we will continue to deliver on our captive value proposition to General Motors and GM dealers by helping to drive incremental sales, enhance loyalty and retention, support dealers and customers across economic cycles and contribute to GM enterprise value," the statement said. Michelle Krebs, executive analyst at Autotrader, wondered whether Barra's shift to GM Financial will be permanent. "There isn't a president after Dan leaves, so it's not clear if there's more moves to be made," she said. "But the finance part is really important now. They're trying to build up the financial business." While Jeremy Acevedo, Edmunds' manager of industry analysis, imagines business operations at GM Financial shouldn't alter under new oversight, he said Barra taking the captive under her wing shows a concerted effort to tie in the silos of the massive automaker's operations. "The optics of having it directly under her, that she's keeping a close eye on it not as a subsidiary of the business but an entity that she's trying to glean profitability from, just like every other avenue that GM has, is positive," Acevedo said. GM Financial "having its place alongside all the other revenue-generating parts of the business can help reconcile the finance arm with all the other marketing and segments that ladder up to her." In 2014, Ammann said that GM Financial would be integral to GM's growth efforts through 2020, through increasing revenue, market share and customer loyalty. Meanwhile, affordability challenges and rising interest rates mean that GM should place more focus on the financing arm, according to Krebs. "We're at a really critical phase of interest rates rising, cost to dealers in terms of interest rising, so that's going to be a really important part of the business going forward," Krebs said. "I would think she wants to pay much closer attention to it." 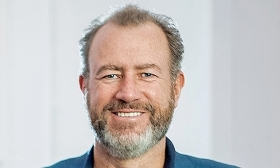 Ammann's move positions the business to allow strategic partnerships with companies that aren't as closely aligned with GM, allowing the autonomous unit to pursue funding from nontraditional financing sources, Krebs said. Acevedo agreed that the recent leadership transitions as well as layoff announcements reveal where GM considers the future of its business. "It's an attempt to make the process a lot more integrated. Leveraging that in this broader autonomous race is what this whole shake-up has been about," Acevedo said. "With the layoffs, GM has been a pivoting into where they see the future of automotive headed." GM began to cut ties with its original auto finance arm, General Motors Acceptance Corp., in 2006 by reducing stake in the company to raise funds. GM reduced its stake in the captive even further in 2009, while both companies received government bailouts during the financial crisis. In 2010, GMAC morphed into Ally Financial, and under Ammann, GM acquired AmeriCredit, which would form GM Financial. In 2013, Ally was entirely separated from the company. In the third quarter of 2018, eight years after GM Financial was established, the captive paid a dividend to GM for the first time. GM Financial paid $375 million to GM for full-year 2018. It's the first in a series of annual payouts GM Financial will pay GM until it consistently holds 50 percent of GM retail sales penetration in the U.S., which is expected to occur in the early 2020s. Michael Wayland and Melissa Burden contributed to this report.